Our free genealogy and probate-related services provide proven solutions to the public sector. We work on all cases whether there is an estate or not. With our approachable expert staff, we look to become the long-term partner to the public sector: providing answers to help reduce the burden of welfare funerals and other associated costs. TSol rules stipulate that they will not consider an estate to be bona vacantia where there is even a hint (such as anecdotal evidence) that there is next-of-kin. Kin: Search is the proactive approach: we identify, locate and prove entitlement of the next-of-kin; they can register the death, organise the funeral and apply for probate to claim the estate assets. We have a policy of full transparency. We inform the next of kin of all salient information, so that they can make an informed decision before entering into an agreement. Whether you are in contact with kin or not, we can provide you with all necessary paperwork to prove eligibility including family tree, supporting certification, certified copy of ID documents. Until such time as a next of kin is located, the Council has to safeguard the deceased’s property. If the Authority refers the matter as bona vacantia the TSol process could take months. Our services obviate such risk and delay. In conjunction with our trusted partners we will secure and insure property within 24 hours. What public sector bodies do you assist? Local Authorities, hospitals and coroners. All our services to the public sector are free. How fast and successful is Kin: Search? Next of kin are usually located within 48 hours. In the vast majority of cases a next of kin can be located. Why locate next of kin? There is only one opportunity for attending the funeral. Using Kin: Search, we can improve the chances of avoiding a welfare funeral. Next of kin are given the chance to take over funeral arrangements and deal with property/ possessions. How is Kin Probate paid? We work on all cases, whether there is an estate or not. Where there is an estate we will, after providing full details in accordance with our policy of transparency, look to enter into a commission-based agreement with the next of kin. Member of the worldwide body of professional genealogists. 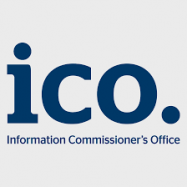 Fully ICO compliant: ensuring that we protect your privacy. 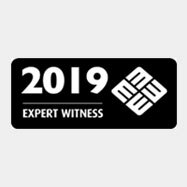 Approved firm featuring on the Expert Witness directory.